I forewarn you that these are the 10 greatest English Sonnets addressed to or concerning other poets and are not even the 10 greatest short poems concerning other poets. There are innumerable other short poems addressed to other poets which are wonderful and remarkable, from Ezra Pound’s modernist poem “A Pact” to W.H. Auden’s “In Memory of W.B. Yeats.” I have also had to leave out some extraordinary sonnets, such as Longfellow’s “Milton” (—in which he depicts Milton as the “ninth-wave,” a nautical allusion to the largest wave in a sequence of waves and at which point the sequence starts over again. The sea-metaphor, to me, is a mundane one, albeit Longfellow captures the essence of Milton’s stature amidst his peers by alluding to the nautical ninth-wave, which is quite original.) I could have perhaps swapped Jeffers’ sonnet for Longfellow’s, but I wanted to canvas a larger time-period and include at least one or two poems with a more negative intonation (poor Wordsworth gets the brunt of it), and Jeffers’ poem, although embittered, appeals to me because of its contemporary vigor and density and also its timelessness. That, often fallen, never has lain prone. Frankly, this is a poem about not giving up. It is about being lionhearted. The determined and resolute Jeffers, living in his ascetic’s abode in rural California, was an outcast and recluse. He spurned the world in order to pursue his poetry. Wordsworth, to Jeffers as well as Shelley, denied his liberty as a poet when he became the Poet Laureate of England. He took up political and religious matters whereas he should have concerned himself with the aesthetically True and Beautiful. While Wordsworth received monetary compensation for his eminent position, such money would be “blood money” in Jeffers’ as well as Shelley’s opinion: It is like serving Mammon ere God; it is sacrificing the poetical to the political. In order to engender such revulsion and grievance, Wordsworth had to at first inspire affection and adoration. We loathe traitors more than the enemy because traitors are supposed to know what is right; they are supposed to know better. The poet who writes, “The world is too much with us; late and soon, / Getting and spending, we lay waste our powers: / Little we see in Nature that is ours, / We have given our hearts away, a sordid boon!” slaps Shelley and Jeffers in the face when he renounces his old creed, forgoes his erstwhile principles. Shelley “deplores” Wordsworth’s entrance into the “blind and battling” horde. Like Jeffers’ poem, this is also a poem about not giving up. It juxtaposes a poet who has purportedly given up (i.e. Wordsworth), with one who has allegedly not—Shelley. It connotes the true poet’s loneliness and yet his resolute exultation in the liberty in which his exile and isolation produces. Had swamped the sacred poets with themselves. I like this poem because it is a historical encyclopedia of sorts. I have heard two versions of the Virgil tale. One is presented here by Tennyson: that Virgil wrote ten lines in the morning and then spent the rest of the day tinkering with them in order to improve them. The second one is that Virgil wrote early in the morning, at dawn, and spent the rest of the day condensing what he had written to fit into ten immaculate lines. From what I gather, in the second stanza, Tennyson is referring to Horace’s meticulousness and scrupulosity and his espousal of letting a piece sit (or marinate, as I like to call it) for nine-years before (or while) revising it and pondering it. A “songster” can be a poet, one who sings songs, or a songbird. Tennyson obviously contradicts himself when he says “whose dead songster never dies;” and yet the mysticism in the line, and which will be evinced in the following sestet, is that good poetry, “overdone” poetry, achieves a sort of eternal immortality, lasting longer than the poet—who naturally dies—himself. Lowell’s poem is a veritable cornucopia of sensory details. It is a poem to drink in like a cold glass of water on a sunny day; or wafted like an apple-cider sweetness in an aleish, autumnal wind. This is the kind of poem which makes creative writing teachers salivate or jeer with creative envy. 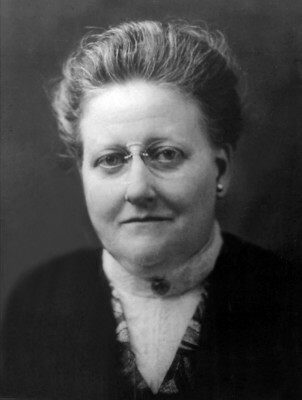 It is an invocation to a muse, and the muse, for Amy Lowell, is the young John Keats. In it Keats is almost the troubadour bohemian figure who would become popular in Twentieth Century Fiction. It is a poem about youth aspiring to greatness, to taking the highroad (whether it be rough or rocky or smooth); and I love it because of its splendorous color and compactness. I think I enjoy this poem because it seemingly has very little to do with King Lear. Or does it? For one, King Lear is a Tragedy and not a Romance. Is Keats addressing a Romantic book which he is presently reading but which he will discard in exchange for Shakespeare’s Tragedy? Who is the “Syren” Keats is referring to? Is it one of the Sirens of Greek Mythology distracting him from reading works in his native tongue (i.e. Shakespeare, the Chief Poet of Albion or Great Britain)? Keats is nearly as mad as Lear in this poem; and perhaps that is why it is so perfect. It is so powerful. The Phoenix image of a madman or demented person, such as Lear, rising out of his own ashes and flying at his own desire is a beautiful image, especially when thinking of it as the act or sensation of reading itself. 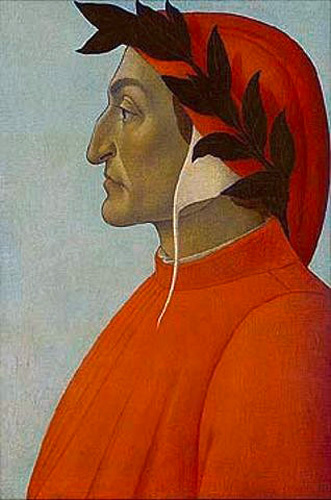 tenderness, and which Dante—no matter how many people he put in Hell—indubitably had (especially when we think of his love for Beatrice or even his tears shed over the sins of Francesca and Paolo). But while Poe could have wrote this, it was Longfellow who did, and probably, on second thought, only Longfellow who could have: Longfellow loved Dante and translated most of his work into English. When we hearken back on the death of Longfellow’s wife by burning, a tragically infernal way to die, and a death which haunted Longfellow for years, we arrive at the realization that what makes this tribute so great is that it is not only Dante craving “Peace!” in the Italian cloister, it is Longfellow, alas, as well. Such as on thy own glorious canvass lies. But keep that earlier, wilder image bright. I am biased towards this poem because I had to memorize it for class and I am a great champion of the Hudson River School Painters. Before anyone comments on Thomas Cole not being a poet—and hence ruining my theme of sonnets addressed to other poets—don’t speak to soon; for Cole was a more than passable poet himself, writing under the influence of Wordsworth, although undoubtedly he was a better painter. 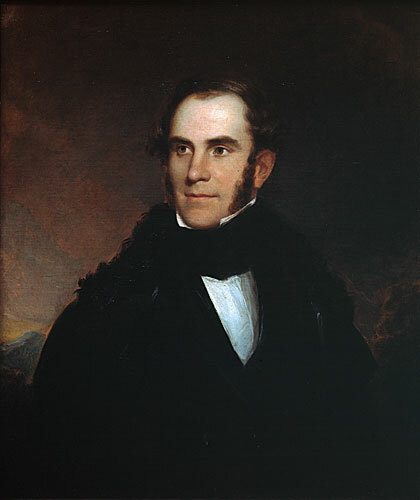 Bryant is encouraging Cole, his friend, who is about to embark for Europe on a Grand Tour which would inspire such immense and epic paintings as The Course of Empire (1833-36), to remember his “native land” (i.e. America), which, ironically, is not even Cole’s native land at all, as Cole was born in England. This is a poem of patriotism. Whereas no square acre of land in Europe had been left untouched, America was a wild and sublime expanse tarrying to be explored. At last, Wordsworth gets his revenge. This is a sonnet addressed to a Critic and yet it’s also a commentary on good poetry versus bad poetry, and consequently is concerned with numerous instrumental poets. This is a very prevalent poem for anyone who supports traditional and classical poetry in our “arid,” contemporary age. Wordsworth’s message is rather clear: You who scorn the sonnet, looky here, gentlemen! Look at these Giants, friends! Look at these Monsters and Masters of Poetry! Whose side are you on, fools? I am on their side. I don’t want to pollute this poem with too much analysis. I will say one thing: In this enterprise to rank my Top Ten Favorite English Sonnets Concerning Other Poets, it surprises me that my favorite, by John Keats, is not even addressed to Homer, but pertains to a certain George Chapman, an English playwright who freely translated Homer into English. Good translators are good poets too; and thus Keats’ famous poem fits my criteria. Chapman may have gained immortality through the inimitable genius of Keats, but doesn’t that say something about the reusable and recyclable nature of Literature? This is what makes tradition so important: Literature is built out of other Literature as our corporeal selves are built out of the elements and cells of our forebears, both animal and vegetable and human. Keats’ poem is about the indescribable revelation of reading: about the epiphanic quality in discovering a new book, a new author, or a new poet. I have experienced this sensation time and time again. It involves an indescribable and ineffable happiness and luxury; and yet Keats describes the sensation so poignantly, powerfully, and unforgettably. Turning precisely at the Volta (between lines eight and nine), with unfathomable skill, I smile serenely and silent, at this boy genius, upon a peak in Darien. Reid McGrath is a poet living in the Hudson Valley of New York. Of your number 1: in the Keats poem, line 11, he was of course thinking not of Cortez but Balboa, which detracts no slightest whit from his own genius or the wonder of the poem. He might thus have eliminated the word “stout,” however. But perhaps in view of the greatness of these men of literature, such a matter is unworthy the notice.